The band is located in the market town of Ashbourne gateway to Dovedale and on the edge of the Peak District. Practices are held at St. John's Community Centre, The Green Road (DE6 1GQ) every Wednesday (8pm to 9.30pm) and Sunday evening (7pm to 8.30pm). The only exception is when the band has an engagement on the same day. We also teach youngsters (and oldsters) from the age of eight. The learners group currently has vacancies, see the Join Us page for more details. Learners group is held on Sunday evenings 6.00pm at St. John's Community Centre. We are always on the lookout for additional experienced and semi experienced players to join our friendly non-contesting band, see the Join Us page for more information on our current vacancies. We also welcome players who are visiting the area to come and have a "blow" with us. If you are interested please contact our Musical Director. 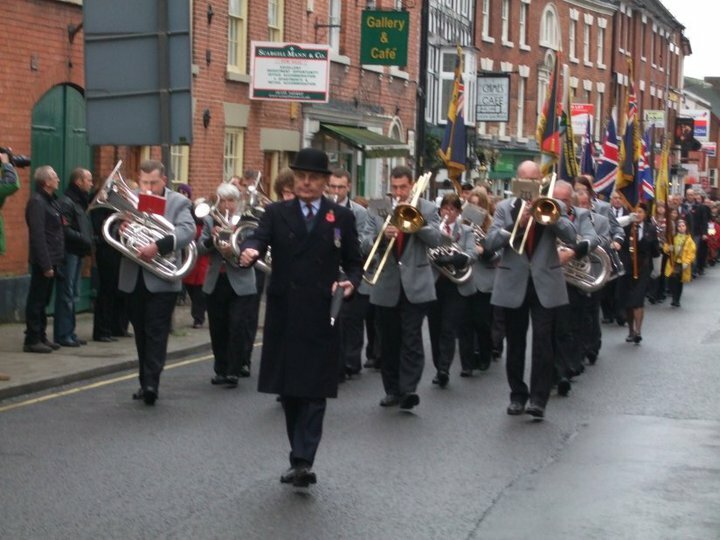 The band plays at many different functions including indoor/outdoor concerts, church services, parades, shows, garden parties, weddings and more. If you would like to obtain a quote for a booking please contact the booking secretary. Please try to allow enough time as possible prior to the engagement. The band has also been involved in a number of fundraising events to help both local and national charities. For more information go to the Fundraising page.